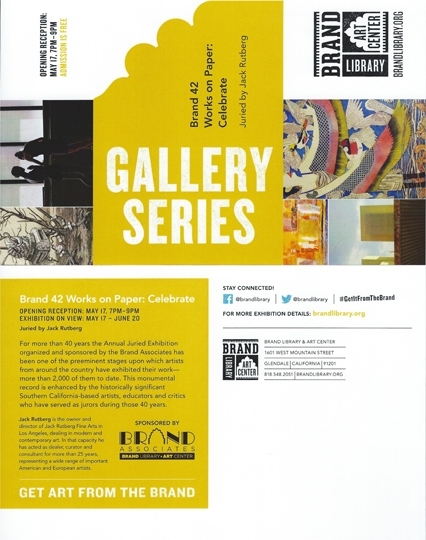 I have a collage piece in the Brand 42 Works on Paper: Celebrate show at Brand Library and Art Center. The show, juried by Jack Rutberg, will be on view from May 17 – June 20. I’ll be at the opening on Saturday, May 17 from 7 – 9 PM. I hope to see you there. This entry was posted in Show on May 12, 2014 by Cory.